Last night, the School of Medicine hosted a special lecture on the Humanities in Medicine, featuring a presentation by Cheryl Dileo, director of the Arts and Quality of Life Center at the Boyer College of Music and Dance. 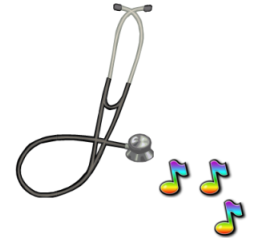 Dileo has done extensive research on the use of music therapy to help in the healing process as well as help doctors decompress after the stress of dealing with difficult cases. Dileo said that music and medicine, while relying on two completely different skill sets, are not so different in the end. One adjunct professor in the department of cell anatomy and biology, Fawzi Habboushe, didn’t really have to make that decision; he’s the conductor of the Philadelphia Doctor’s Chamber Orchestra.